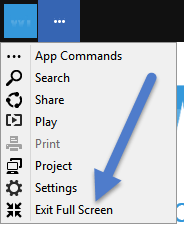 Windows Store Apps (Universal Windows Apps) can now be opened in sizeable Windows on your desktop like you could with desktop application, such as word and so on. But some Apps you rather have in full-screen like Netflix and so on. 1. Open the App you like to run in Full Screen. 3. Now click on Full Screen. 1. 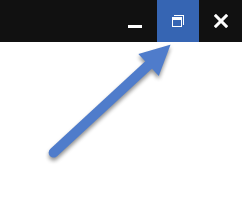 Move your mouse to the top of your screen, a black bar will appear with the app name. 2. On the right side click the box like icon. 3. Now click on Exit Full Screen. The App will automatically exit Full Screen Mode.